The 4π calorimeter inside the n_TOF experimental area. 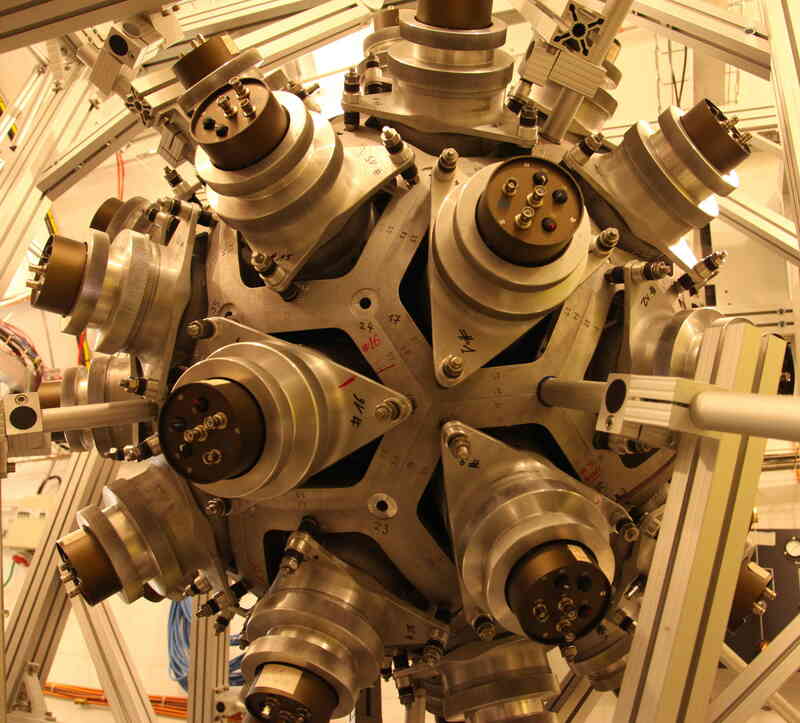 n_TOF is a pulsed neutron source coupled to a 200 m flight path designed to study neutron-nucleus interactions for neutron kinetic energies ranging from a few meV to several GeV. The neutron kinetic energy is determined by time-of-flight, hence the name n_TOF. The study of neutron-induced reactions is of large importance in a wide variety of research fields, ranging from stellar nucleosynthesis, symmetry breaking effects in compound nuclei, and the investigation of nuclear level densities, to applications of nuclear technology, including the transmutation of nuclear waste, accelerator driven systems and nuclear fuel cycle investigations.